An example of exceptional craftsmanship, the Spectrum features state of the art revolving LED lights to create an elegant and dazzling display for any luxury exhibit. The Gemini is a tall, slimline, exquisitely feminine showcase with warm LED lighting creating a display of unparalleled elegance. The Rigel features fully flexible warm LED lighting that puts just the right accent on any display piece. The innovative and incredibly stylish ‘two-tier’ design creates an illusion of buoyancy, instantly drawing the eye into the spotlight. Elevated elegance and towering grace sum up the Alto, a showcase that possesses just the right degree of neutrality to blend harmoniously into any interior, yet at the same time stand out as an attractive feature. For collections of grandeur, nothing will show them off better, than the outstanding Strata display counter. This innovatively designed, T-shaped showcase never fails to stand out in any surroundings. Modelled on the Alto, The Qubic is our smallet slimline tower showcase, beautifully illuminated with warm tones courtesy of LED lighting which can be positioned to perfectly highlight any piece. 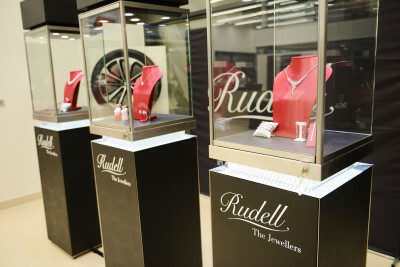 When Aurum Jewellers contacted Showcase Hire they didn’t know where to start as this was their first ever show. They had just a shell at IJL and didn’t know where to start. Our dedicated production and logistics team are able to see projects through from realisation to delivery. 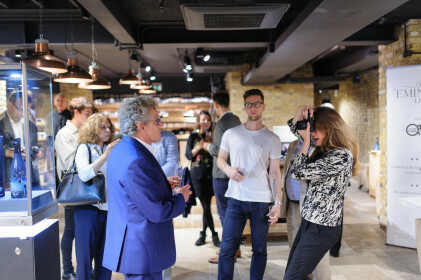 Hodinkee, an online watch magazine came to the Harrods Fine Watches room to showcase and sell some of their vintage watches. We have been working with Joseph & Pearce for some years now. Appointing them with our logistic experts giving them immediate peace of mind. When Roberto Boghossian asked Showcase Hire to work with them for their launch in Harrods, we were thrilled to accept the challenge. Ulysse Nardin was recommended to Showcase Hire to create their pop-up in Watches of Switzerland. Showcase Hire Ltd offer a seamless service which enables us to offer a full range of services. The skills and experience of the two teams are really complementary and broaden our offering to all of our clients. We pride ourselves on being able to deliver a superior level of service to our clients, providing innovative design ideas, not just for the showcases, but now for all your retail needs. Whether it be a display cabinet, exhibition stand, jewelry display and many more! We offer long term and short term showcase hire, anything from one hour to several weeks. Perfect for exhibition stand hire. You’ll benefit from our familiarity with your preferences, specific requirements, timescales and budgets to create your perfect showcase. Our highly skilled joiners and craftsmen will use the latest technology to create your perfect display case. Get in touch with us here for any further information. "Showcase hire have been excellent to deal with, always going the extra mile to make sure we had the best choice and support with our exhibition planning." "I am delighted with every aspect of showcase hire. Kimberley and her team are very professional and genuine. Their attention to detail is first class from start to finish. Nothing is missed. I cannot speak highly enough of these guys and their product." "I would like to take this opportunity to thank you all very much indeed for your professionalism and efficiency and should we need to hire any cabinets in the future, then I will ensure that we contact you."